Hello everyone, how are you all doing today? 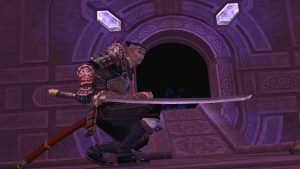 You can now download Final Fantasy XI on Ubuntu and finally play one of the most popular massive online games on your Linux OS. The game was of course released around April 2013 but it has been constantly updated throughout the years and it is still very popular. 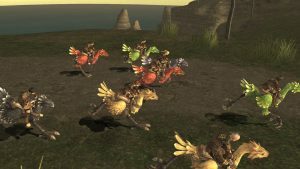 Today we will highlight some reasons why you should give Final Fantasy XI online on your Linux OS. The only difference we have to tell you about is that this game, unlike 99% of our games listed on this web site, this game is not available to Steam users on Linux, instead we will show you where to download Final Fantasy XI using Wine or CrossOver. The game works perfectly fine as if you were playing it on Windows. Like I mentioned earlier, the game is still constantly updated by a lively community and as long as you use Wine/CrossOver software, you can play this Windows game on your Ubuntu with little to no issues. Let’s find out what else makes this game worth your time to download and try. Note: We recommend you actually use CrossOver if you want to run Windows games & Windows software on Linux easily, without even rebooting. 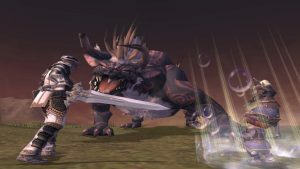 What Is Final Fantasy XI About? 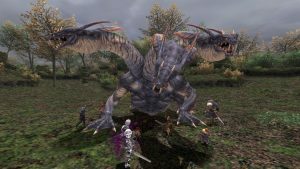 Final Fantasy XI Online lets you enter an online multiplayer RPG that challenges players to journey through the world of Vana’diel a world of fantasy, adventure, and exploration. Heed the call and join players from around the world to become the hero that Vana’diel needs. Discover new creatures, pioneer wild lands, and conquer quests on your daring journey! With all five installments included your world will be filled with endless possibilities. Includes 5 expansion packs: Rise of the Zilart, Chains of Promathia, Treasures of Aht Urhgan, Wings of the Goddess, and Seekers of Adoulin. Includes 3 add-on scenarios: A Crystalline Prophecy, A Moogle Kupo d’Etat, and A Shantotto Ascension. Includes 3 battle add-ons: Vision of Abyssea, Scars of Abyssea, and Heroes of Abyssea. ** First step, you must first either install Wine or CrossOver, they both allow you to run Final Fantasy XI game on Linux. Insert “The Ultimate Collection 2011″ dvd into your dvd drive. In a terminal session, type in “wine /path/to/dvdrom/PlayOnline/setup.exe“. From here, you will be guided by a setup wizard. Choosing all defaults is acceptable. After the PlayOnline Viewer is finished installing, click finish on the wizard if you haven’t done so already. Type in “cd/path/to/dvdrom/INST1″ to go into the install directory for Final Fantasy XI. A wizard will appear that will guide you through setting up Final Fantasy XI. Again, choosing all defaults is acceptable. After installation is complete for Final Fantasy XI, you may be given a choice to restart your machine. Choose “No, I will restart my machine later” and click finish. From here, type in “cd/path/to/dvdrom/INST2″. Follow the wizard for setting up Rise of the Zilart, choosing all defaults, and selecting to restart your computer later, if prompted. Follow the wizard for setting up Chains of Promathia, choosing all defaults, and selecting to restart your computer later, if prompted. Follow the wizard for setting up Treasures of AhtUrhgan, choosing all defaults, and selecting to restart your computer later if prompted. Follow the wizard for setting up Wings of the Goddess, choosing all defaults, and selecting to restart your computer later if prompted. You may now umount your installation media. Be sure to store it in a safe place.